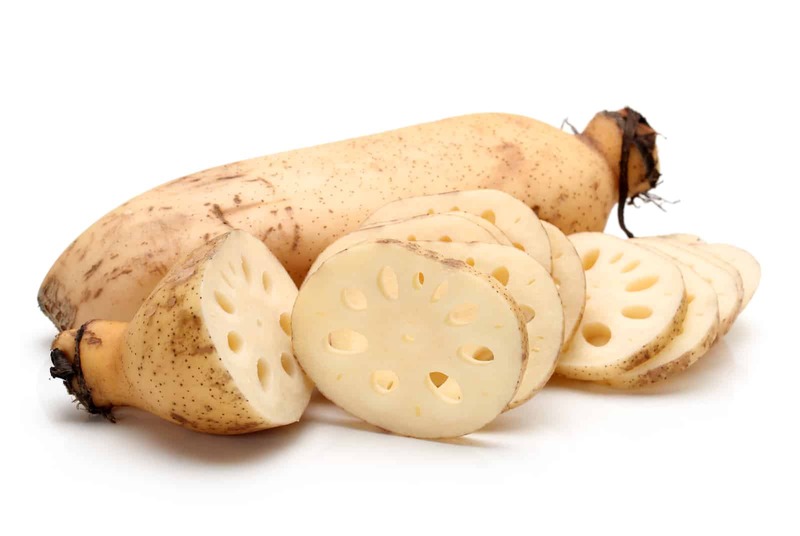 Lotus root comes from the lotus plant, which grows in ponds and marshes and can come from a number of closely related species including Nelumbium nucifera and Nelumbium speciosum. Lotus plants belong to the water lily family and are usually harvested in the late autumn and early winter. Lotus root has been a part of the Chinese diet and cultivated for thousands of years. It has been found in tombs from as far back as the Han Dynasty. Lotus root was documented in the Shi Jing or Shih Ching (the Book of Odes) from the Zhou Dynasty where lotus root was recommended for bringing balance to dishes. 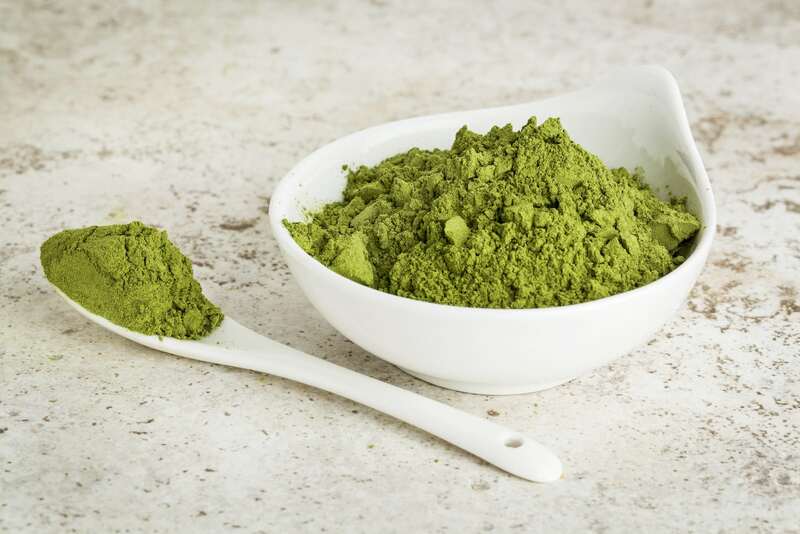 The Chinese have used it to make porridge, eaten raw, baked or preserved. The lotus plant plays an important role in Chinese culture with all parts of the plant being used. The flowers are especially prized as a symbol of purity. Even the seeds are valued for their medicinal benefits. Some believe the lotus plant to be the plant from the Nile Valley that was held to be sacred by the Pharaohs. In Chinese culture, lotus blossoms have numerous symbolic meanings in art ranging from prosperity to marriage depending on context. Today, lotus plants are cultivated mainly in Asia. The main producers are China, Japan, and India. 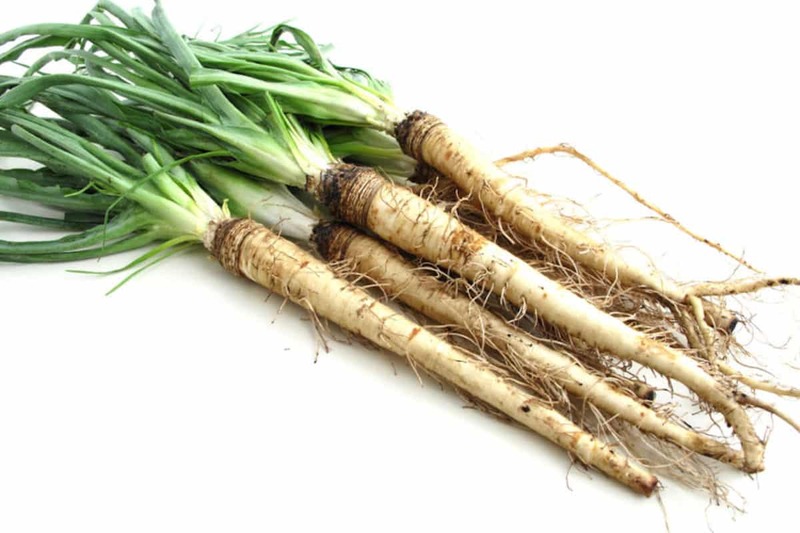 The young, fresh root has a very mild taste similar to that of coconut. Its texture is a cross between the texture of taro root and that of water chestnuts. Vitamins: Lotus root is a good source of some B vitamins and vitamin C.
Minerals: You can get a significant amount of your daily potassium and manganese requirements from a serving of lotus root. Fiber: Lotus root provides a significant amount of dietary fiber per serving. Heart disease: The fiber in lotus root can help to lower cholesterol to reduce your risk of heart disease. The vitamin C and potassium both can have positive effects on blood pressure, which also reduces the risk of heart disease. Poor bone health: The vitamin C in lotus roots is great for bone health. Infections: Lotus root can help to strengthen your immune system to ward off infections due to its vitamin C content. 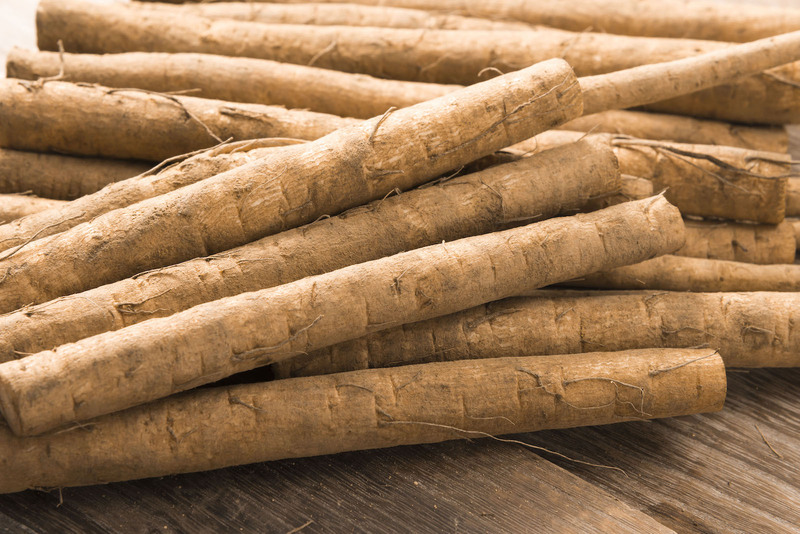 Poor digestion: The high fiber content of lotus root means that it can help to encourage the production of digestive juices while also providing relief from constipation. In China, lotus roots are used primarily as a starchy vegetable but can also be dried and ground to make a flour. The flour can be used to dredge and fry other foods. One popular preparation involves stuffing the holes in the fresh rhizome with meat or fruit. Lotus roots — especially the younger and more tender ones — are sometimes served pickled in salads. When cooking lotus root, it is helpful to have some water on hand to which a little lemon juice or vinegar has been added. Submerging the peeled and sliced lotus root in water containing acid will prevent discoloration.